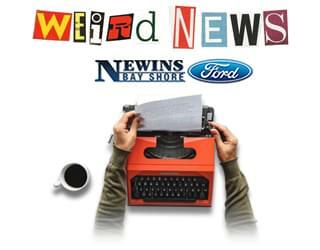 Home » Blog Index » Featured, Jim Douglas Mornings, Weird News » Dumbest Drug Dealer…in AMERICA! Schenectady, New York police recently arrested the dumbest drug dealer in America. Richard Betters Jr accidentally text messaged a detective. The detective played along with his sales pitch and set up a meeting before busting Betters at a local Taco Bell. He was trying to sell Oxy. When it comes to hiding spots, this one is pretty great…or at least it was. Officers in Stafford, Virginia say they were acting on a tip about drugs stashed in a Rappahannock Regional Jail cell when they found three to seven grams of cocaine inside…an inmate’s prosthetic leg. The inmate’s name hasn’t been released, but he was already jailed on marijuana possession charges. It’s not clear how the drugs made it into the jail.